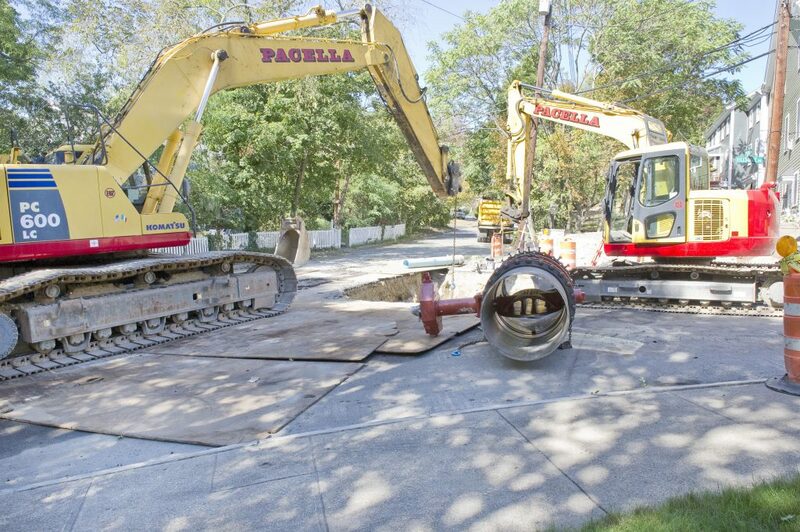 Removal of existing water mains, valves, piping and manholes. 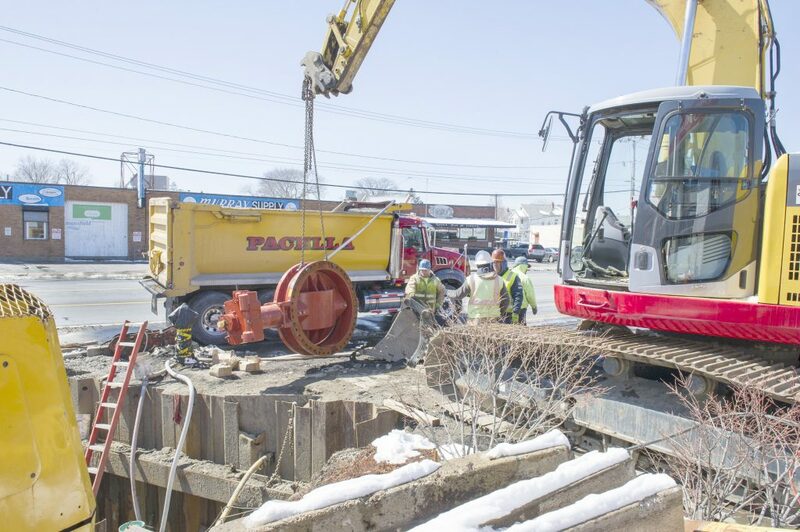 Removal and testing existing Meter 86 venturi tube. 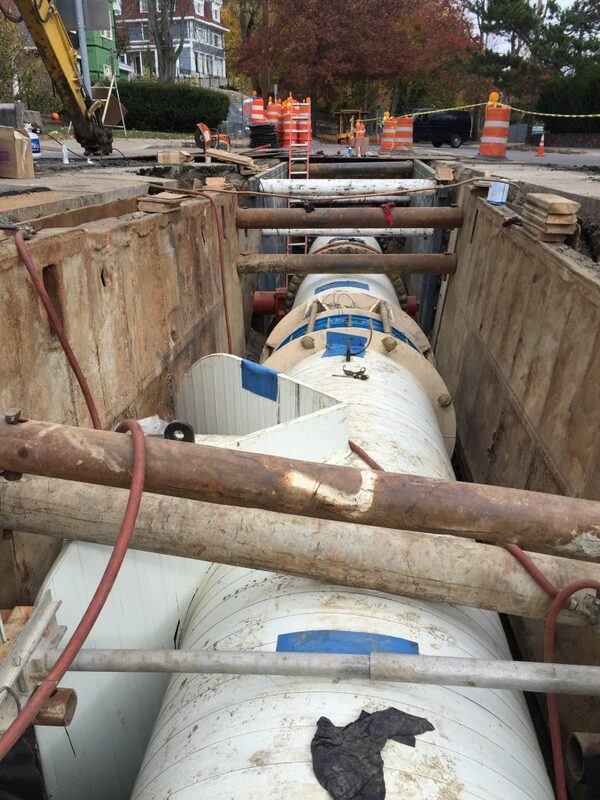 54-inch steel water main, two 54-inch butterfly valves and chambers, and 54-inch interconnection. 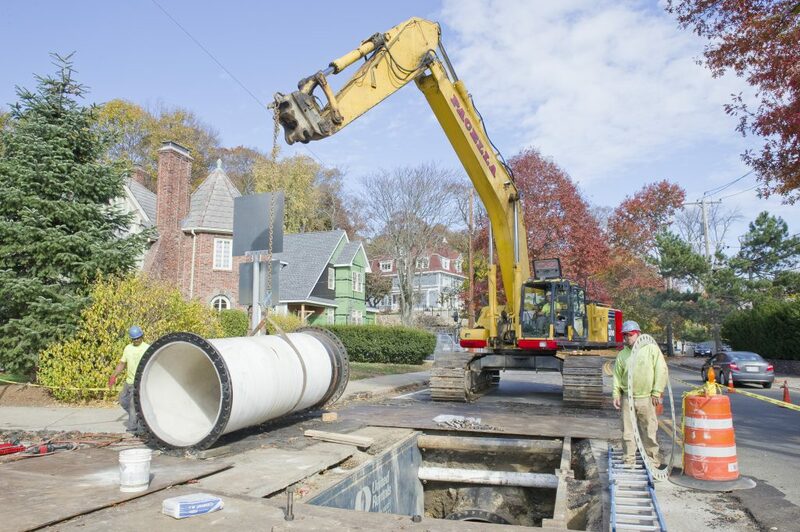 1,240 feet of 36-inch D.I. 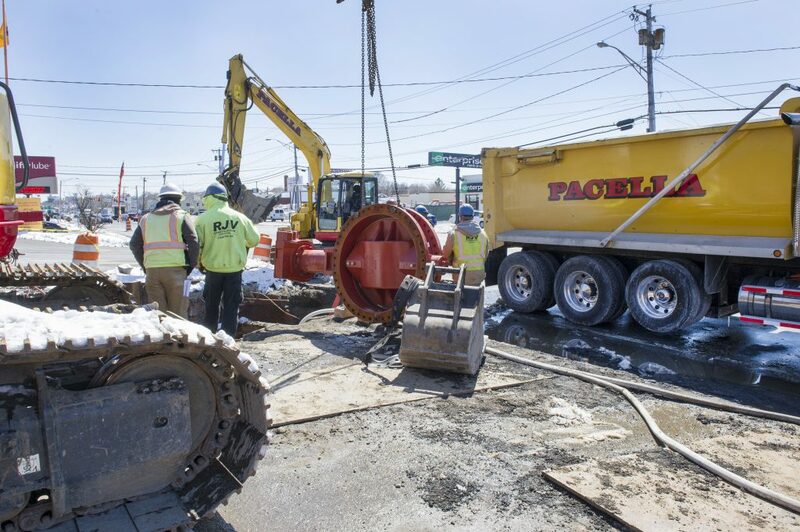 water main. 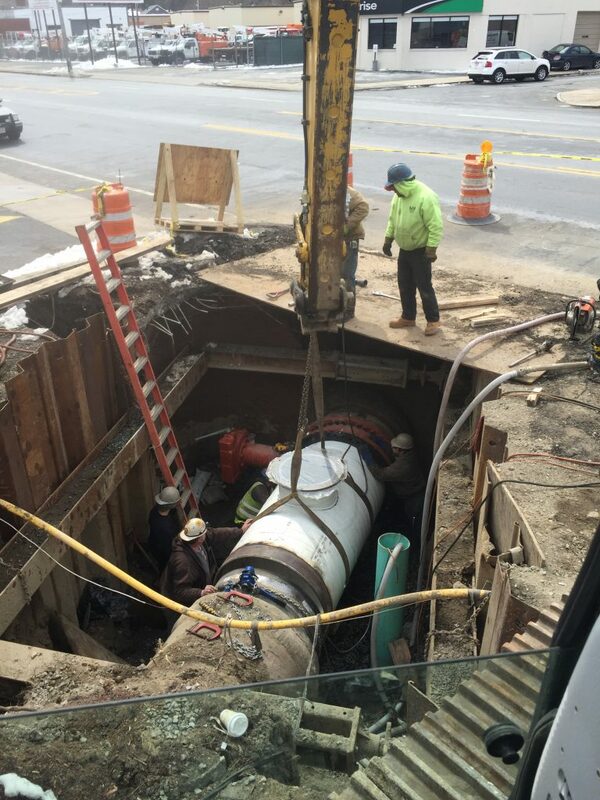 2,340 feet of 8-inch and 12-inch D.I. 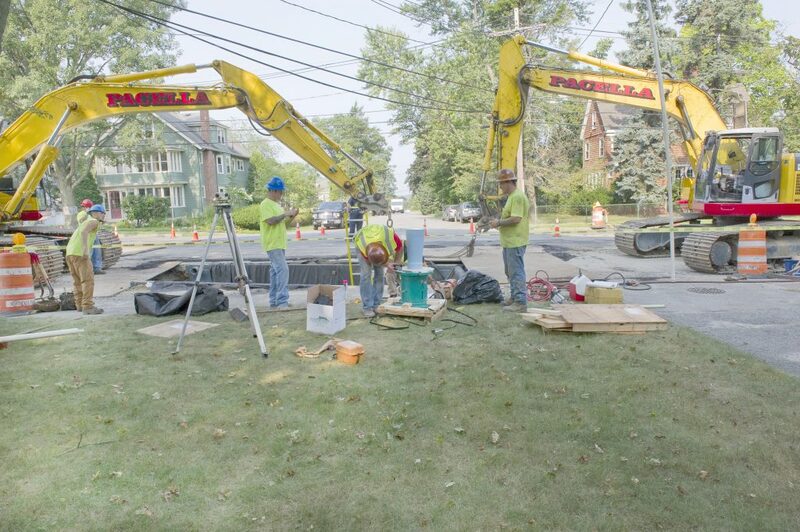 water mains. 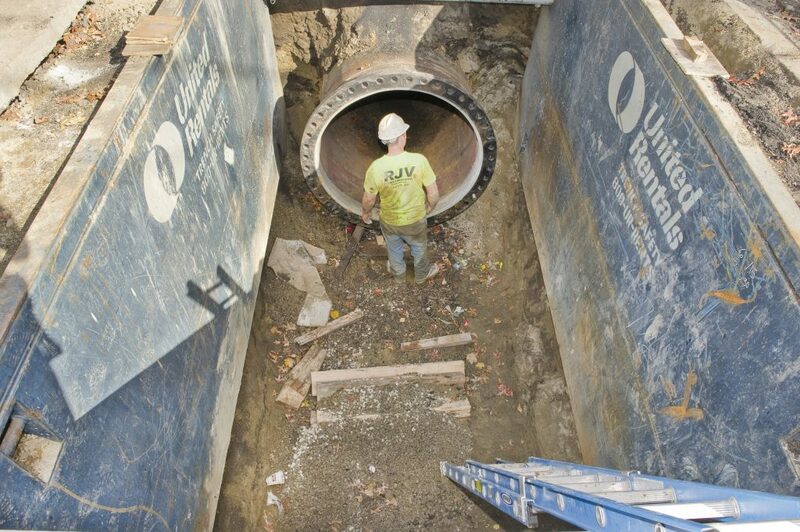 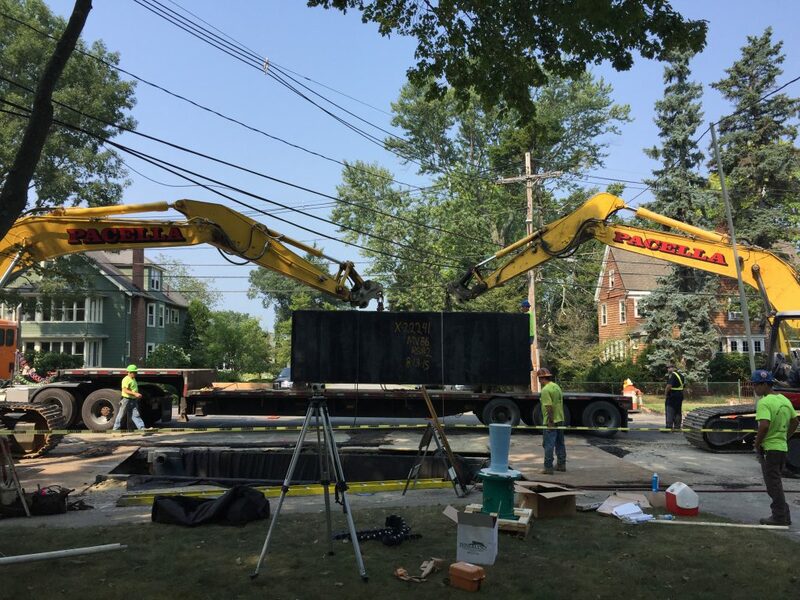 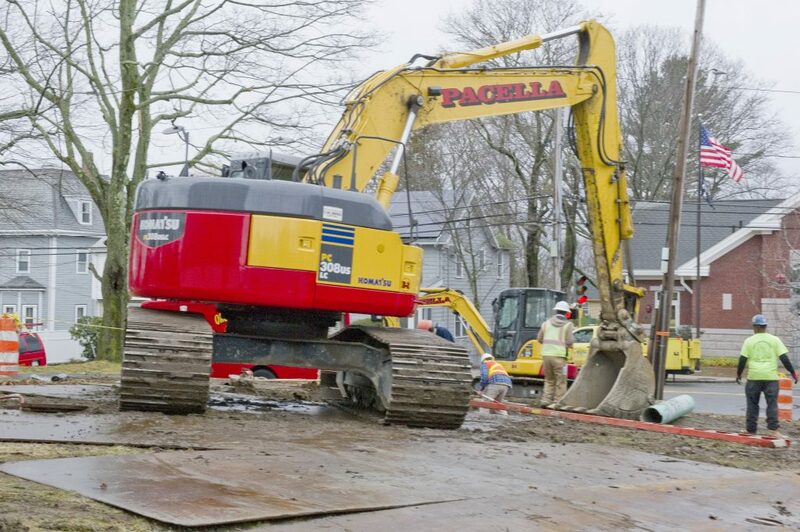 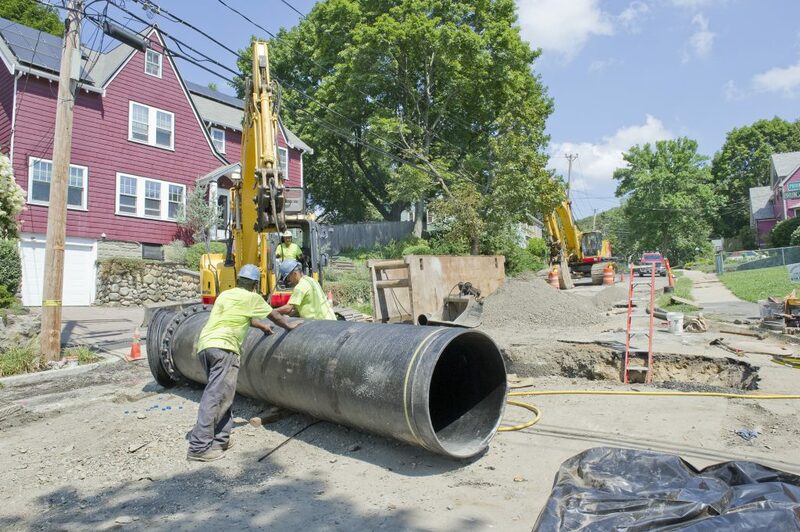 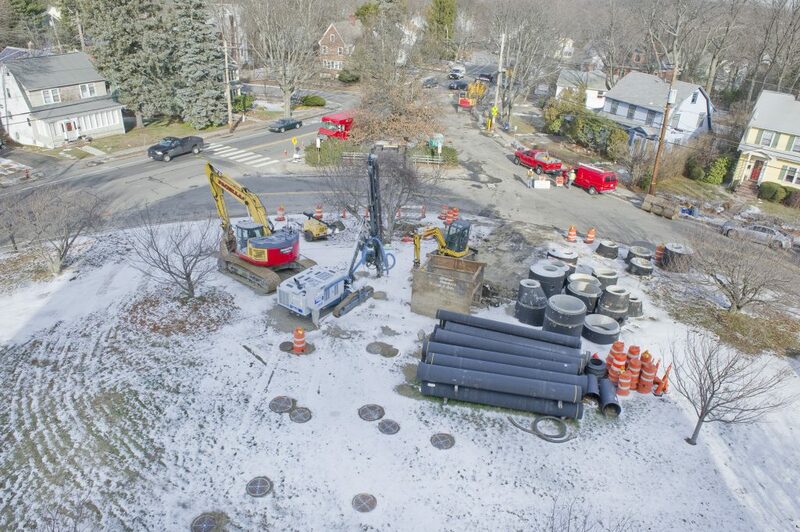 2,450 feet of 8-inch sanitary sewer including connection of existing sanitary service lines and installation of new sewer manholes. 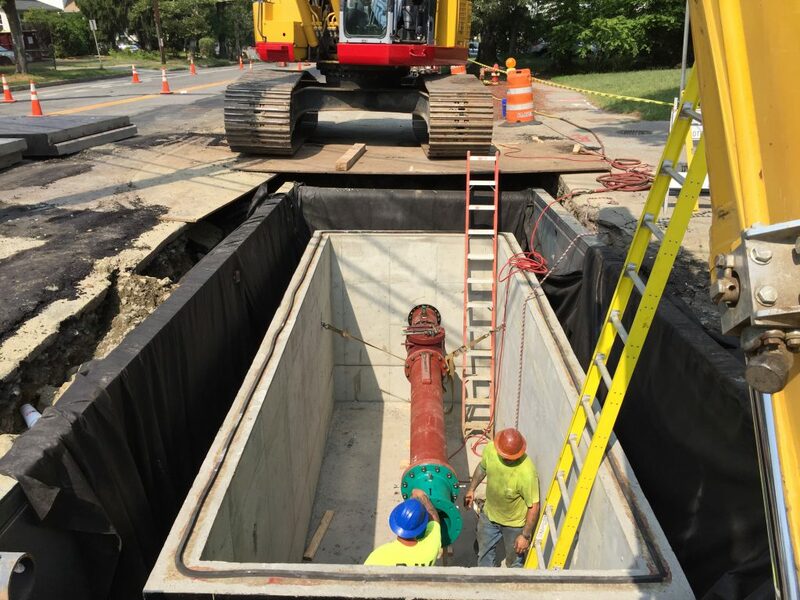 Furnishing and installing a new meter venturi in an underground chamber with electrical and communications equipment and all appurtenant work. 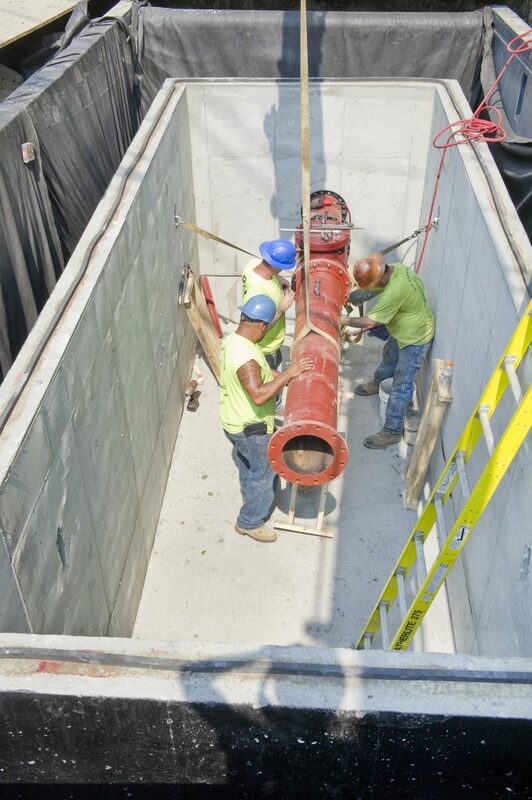 Furnishing and installing valves, precast valve chambers, air valves, blow-off assemblies and all appurtenant work. 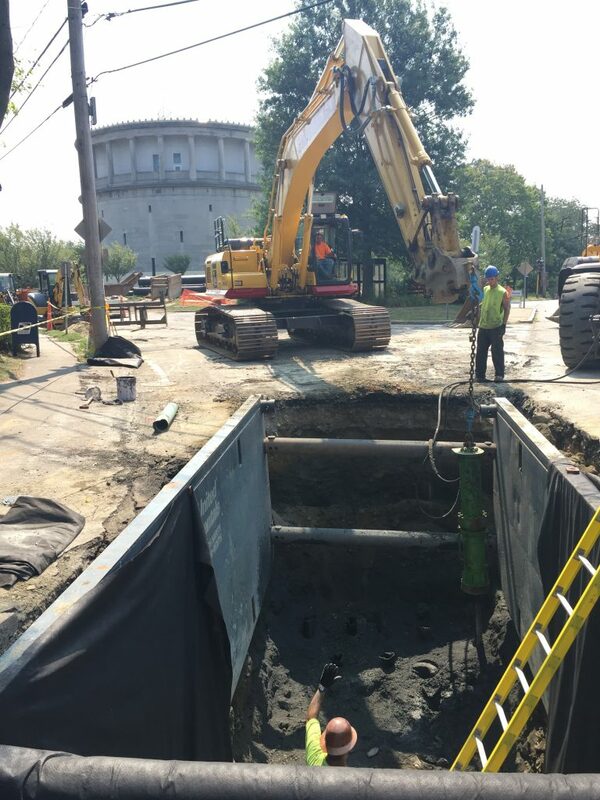 Removal and replacement of 12-inch, 15-inch and 24-inch drain pipes at various locations and installation of new storm drain manholes. 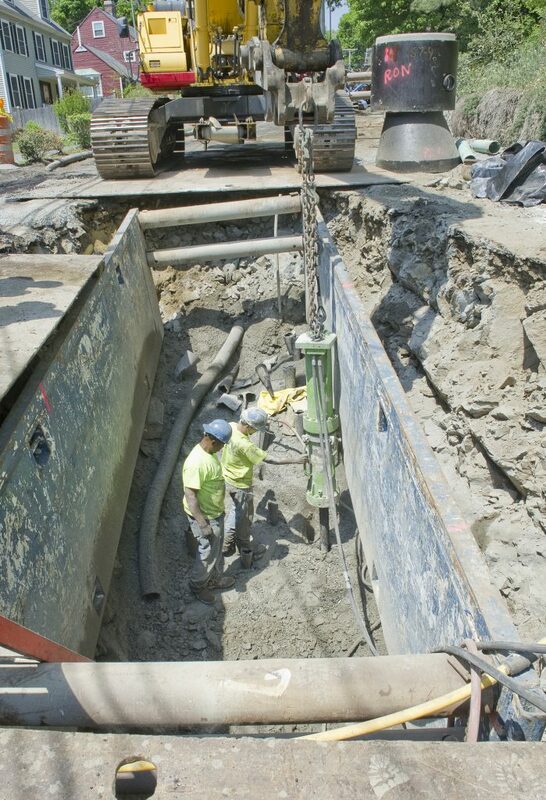 Removal and replacement of all water and sewer laterals exposed in open excavations. 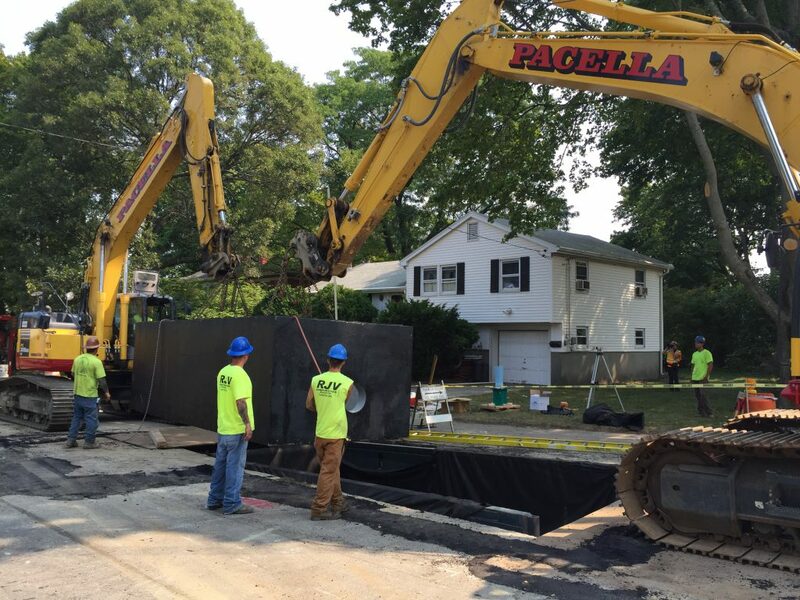 Removal, handling, transportation and disposal of rock, contaminated soil.